The expression “leaving money on the table” comes to mind with these two facets of a fundraising program. A major reason tribute and corporate matching programs are not effectively used is a lack of donor awareness. Tribute gifts and corporate matching gifts can help your organization organically raise more money. The word tribute means to honor, praise, or acknowledge. In the nonprofit world most people think of memorial gifts when considering tribute gifts. By definition rather than just considering memorial gifts, nonprofits need to take in account all the occasions of an individual’s life including births, marriages, birthdays, anniversaries, confirmations, bar mitzvahs, and a host of others. By expanding from memorials to a range of tribute types, a nonprofit can provide more opportunities for a donor to give. The truth is an individual will only pass away once, but during their life will have many celebratory events. To encourage donors to make a broader range of tribute gifts to your organization, remind them of the possibilities in your newsletter or an email blast. A listing of tribute contributions encourages future gifts and expands the donors thinking regarding the possibilities. Also, consider enclosing a number eight envelope with their thank you letter. Number eight envelopes specifically designed to keep your organization in mind assist donors in making their next tribute gift to your organization. You can also ask board members to pick one occasion and ask their friends and family to make gifts to the organization in honor of their occasion, such as a 50th birthday or a 22nd anniversary. This is a wonderful way to engage board members and their friends and family as donors. Tributes gifts are gifts of celebration. Even a memorial gift is a gift in celebration of a life well lived. The money raised from tribute gifts can make a difference in the outreach of your mission and help your donors rejoice in the gift of giving. 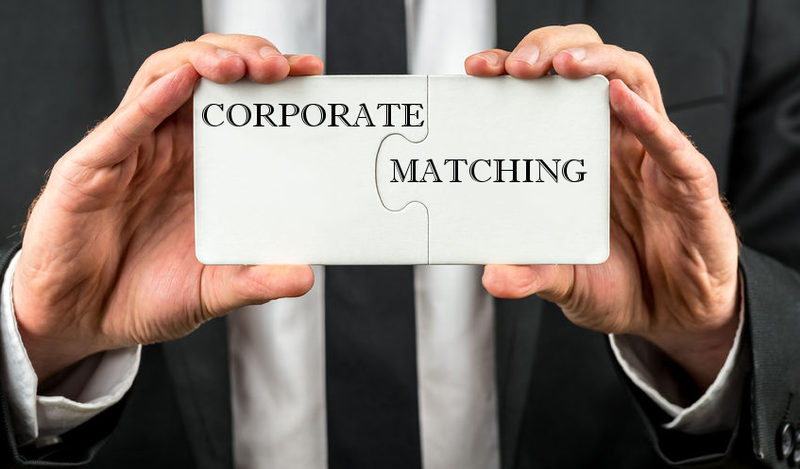 Corporate matching gifts are a corporation’s means of supporting nonprofit organizations that are supported directly by their employees. How corporate matching gifts works: A corporate employee makes a donation to the local food bank and the corporation will match the donation. Corporations set aside charitable dollars for the matching gift program. The sad part is that most often this money is not fully utilized and rolls over to the next year. In order for the matching gift dollars to be released to the nonprofit, the employee has to submit a form to the nonprofit. The nonprofit then has to complete the form stating that the corporate employee made the gift. The corporation then sends the matching gift to the nonprofit. For nonprofits to take better advantage of this program, they need to remind their donors to check with HR at the corporation to see if the company has a matching gifts program and to obtain the form. Educating donors as to the value of matching gifts and the ease with which the donor/employee can participate is what makes this program successful for the nonprofit. There are hundreds of corporations that have matching gifts programs including Bank of America, Wells Fargo, Microsoft, Home Depot, and The Gap Corporation. Matching gifts are truly a great opportunity – two gifts for the cost of raising one. Everyone wins. The corporation is a good citizen, the employee feels good and the nonprofit raises more money.